Poipū is a census-designated place in Kauai County on the southern side of the island of Kauai in the U.S. On the 20th (Wed), tour the pleasant surroundings at Poipu Beach Park, then explore the stunning scenery at Waimea Canyon State Park, and then pause for some serene contemplation at St. Raphael Church. Get ready for a full day of sightseeing on the next day: admire the sheer force of Wailua Falls and then see some colorful creatures with a scuba or snorkeling tour. To find where to stay, photos, and tourist information, go to the Poipu online trip planner . Sydney, Australia to Poipu is an approximately 13.5-hour flight. Due to the time zone difference, you'll gain 20 hours traveling from Sydney to Poipu. In January in Poipu, expect temperatures between 30°C during the day and 21°C at night. Finish your sightseeing early on the 21st (Thu) to allow enough time to travel to Lahaina. You'll discover tucked-away gems like Stand-Up Paddleboarding and Lahaina Front Street. Escape the urban bustle at Kahekili Beach Park and Dolphin & Whale Watching. Step out of Lahaina with an excursion to Scuba & Snorkeling in Kihei--about 40 minutes away. There's still lots to do: kick your exploration up a notch at some of the top local zipline courses and adventure parks. For maps, photos, more things to do, and tourist information, go to the Lahaina online travel route planner . Traveling by combination of flight and bus from Poipu to Lahaina takes 4 hours. Alternatively, you can fly. In January, plan for daily highs up to 30°C, and evening lows to 22°C. Finish up your sightseeing early on the 24th (Sun) so you can travel to Hilo. Kick off your visit on the 25th (Mon): admire the natural beauty at Liliuokalani Gardens, tour the pleasant surroundings at Kilauea Iki Trailhead, then take in the dramatic scenery at Rainbow Falls, then admire the sheer force of Akaka Falls State Park, and finally enjoy the sand and surf at Laupahoehoe Beach Park. Here are some ideas for day two: contemplate the geological forces at Kulanaokuaiki Campground. To see more things to do, other places to visit, where to stay, and more tourist information, read our Hilo online trip maker . Traveling by combination of bus and flight from Lahaina to Hilo takes 3.5 hours. Alternatively, you can fly; or do a combination of bus and flight. In January, plan for daily highs up to 32°C, and evening lows to 20°C. Finish your sightseeing early on the 26th (Tue) so you can drive to Kailua-Kona. Eschew the tourist crowds and head to Fishing Charters & Tours and Hapuna Beach State Recreation Area. Escape the urban bustle at Pu'uhonua O Honaunau National Historical Park and Dolphin & Whale Watching. Take a break from Kailua-Kona with a short trip to Puukohola National Historic Park in Kawaihae, about 1h 05 min away. And it doesn't end there: take a memorable drive along Saddle Road, look for all kinds of wild species at Kanaloa Octopus Farm, explore the striking landscape of Lapakahi State Historical Park, and see some colorful creatures with a scuba or snorkeling tour. 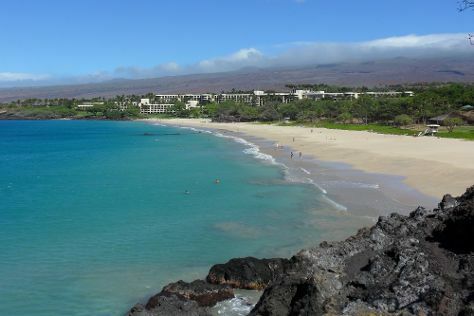 To plan Kailua-Kona vacation without wasting time, ask Inspirock to design an itinerary. Getting from Hilo to Kailua-Kona by car takes about 2 hours. Other options: take a bus. In January, daily temperatures in Kailua-Kona can reach 31°C, while at night they dip to 22°C. Cap off your sightseeing on the 31st (Sun) early enough to travel to Marathon. You'll discover tucked-away gems like Dolphin Research Center and Crane Point Museum & Nature Center. Escape the urban bustle at Sombrero Beach and Parasailing & Paragliding. Get out of town with these interesting Marathon side-trips: Islamorada (Fishing Charters & Tours & Islamorada Beer Company Brewery and Tasting Room). There's much more to do: admire the majestic nature at Bahia Honda State Park, look for all kinds of wild species at The Turtle Hospital, and take in the views from Seven Mile Bridge. For traveler tips, reviews, other places to visit, and more tourist information, use the Marathon trip planning tool . You can do a combination of flight and shuttle from Kailua-Kona to Marathon in 16 hours. Alternatively, you can do a combination of flight and bus; or do a combination of flight, bus, and shuttle. The time zone difference moving from Hawaii Standard Time to Eastern Standard Time is 5 hours. In February, daytime highs in Marathon are 30°C, while nighttime lows are 23°C. 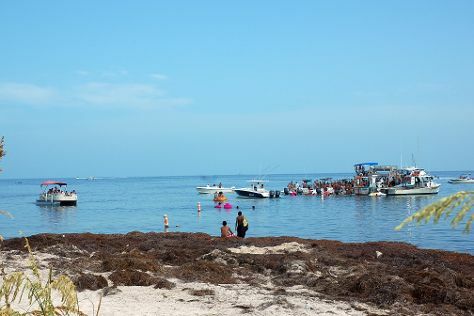 Wrap up your sightseeing on the 4th (Thu) early enough to take a bus to Key West. Take a break from the city and head to Stand-Up Paddleboarding and Key West Butterfly & Nature Conservatory. Spend the 6th (Sat) exploring nature at Dry Tortugas National Park. There's lots more to do: take a memorable tour with Tours, see majestic marine mammals with a dolphin and whale watching tour, contemplate the long history of Truman Little White House, and cruise along The Overseas Highway. To find ratings, more things to do, traveler tips, and tourist information, read our Key West visit planner. You can take a bus from Marathon to Key West in 1.5 hours. Alternatively, you can drive. In February, plan for daily highs up to 30°C, and evening lows to 23°C. Cap off your sightseeing on the 8th (Mon) early enough to travel back home.